Since 1974, Centrepoint Theatre has built its reputation on delivering outstanding theatre designed to challenge, inspire and entertain audiences. Our mission is to create theatre that engages and reflects our community. We are committed to theatre that is accessible to all and we are inspired by a shared belief that the arts play an integral part in our society. 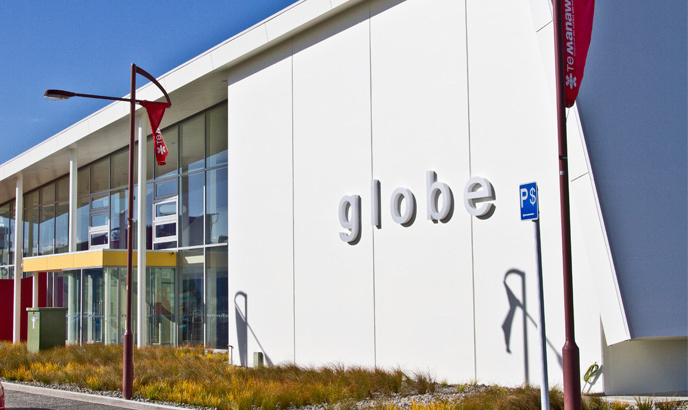 For over thirty years the Globe has been home to many local performance groups, notably the Manawatu Theatre Inc, local dance and drama studios and schools and tertiary institutions. The Theatre hosts a number of musical events, notably the Manawatu Jazz Festival and the Globe Sunday Matinee series of concerts. It is one of the best community theatres in New Zealand, fulfilling its original purpose to cater for a variety of local and touring arts and cultural events such as drama, comedy, musical theatre, dance and musical recitals and competitions. The Globe is also set up to accommodate private hires including networking meetings, award ceremonies, private functions, conferences and seminars. There are excellent parking facilities surrounding the Theatre, which is located central to the city and only a minute walk from The Square. We empower individuals to become more effective communicators and leaders. We build new Clubs and support all Clubs in achieving excellence. We provide a supportive and positive learning experience in which members are empowered to develop communication and leadership skills, resulting in greater self-confidence and personal growth. Visitors welcome, every second Tuesday 7pm in Square Edge's Evelyn Rawlins room.